Portable Pool Filter System Mini Vac 1 HP System Generates 50 GPM Mounted on a Small Cart | Fountain City Art Ctr. Perfect for winterizing and draining pools and spas! Powerful suction picks up everything including sand! Best item for saving time and money while protecting the main filter from excessive dirt and debris! 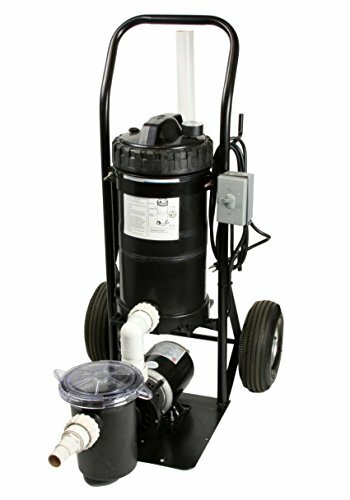 Pool professional's love this item helps make there job easier. If you have any questions about this product by Advantage Manufacturing, Inc., contact us by completing and submitting the form below. If you are looking for a specif part number, please include it with your message. Ford FPX 20E 2" Full Load Water Pump, 2"